Comparing Chicago’s Architecture to Ann Arbor’s One. Chicago is surely one of the most important city historically speaking in the US. Chicago is famous for the fact that the first skyscraper was build there in 1884 but also because of its rapid economic boom during the 19th century who made it for a long time the 2nd city after New York in the country. Chicago became an economic center due to its railroad system, surely because of the famous Pullman Company but also because the city was the center of the meat industry for a long time. Many other things had made Chicago famous such as the great Chicago fire of 1871, the World’s Columbian exposition of 1893 and also famous names such as Al Capon or H. H. Holmes. The most powerful thing about the city and surely the first thing every person who come for the first time in Chicago notice is the incredible architecture. Chicago’s architecture reflects the power of the American economy and its technical advancement but also at the same time the architecture reflect a certain desire to impress. One can find in Chicago a wide and diverse range of architectural style such as neo-classical, Romanesque, Gothic, etc. Chicago as the entire US want to prove to Europe that its culture and architecture can compete with the European one. The impression that had during my trip in Chicago is that the city had nothing to envy in term of high culture and architecture to any European city as Paris, Berlin or London. There is a lot beauty in Chicago but unfortunately a can just comment on one. I am a researcher at the University of Michigan in Ann Arbor and despite the fact that I am leaving in Saginaw; most of my time is spent there. This is why I chose a building from Ann Arbor rather than my city to connect with the Water Tower in Chicago. The buildings of the University of Michigan have a lot of commonalities in term of architecture with Chicago. The University of Michigan Law School building is a beautiful Gothic style building shaped like a monastery as the old European Universities. This special shape was believed to be helpful for studies and created a good environment for learning. The building should reflect the education of the students. Those two buildings were built in a Gothic style and they have many commonalities one with each other. The Gothic architectural style was developed in northern France and spread throughout Europe between the 12th and 16th centuries. The word Gothic refers to the Goths a Barbaric tribe famous from being the cause of the Western Roman Empire fall. One of the characteristic of the Gothic architecture is the importance of light. Gothic buildings have a lot of windows to allow a high luminosity inside. Esthetic is another common characteristic of the two buildings. Contrary to Romanesque Architecture, the Gothic one has a lot of decorations and ornaments. Another Gothic feature that can be seen in those building is the impression that the building is trying to reach the skies as much as it can. Ann Arbor and Chicago are cities that have in common their willingness to create in the US this architectural aspect of the oldest cities or Universities in Europe. This is a claim because both are trying to identify themselves with the highest cultural standards. The single greatest difference between Chicago and Ann Arbor despite the obvious population and size is the skyline . “Chicago Water Tower · Buildings of Chicago · Chicago Architecture Foundation – CAF.” Chicago Architecture Foundation – CAF. 2015. Web. 3 Jun 2015. Love you attention to detail. Your post is very literary and you go so deeply into the historical aspect. Academic yet entertaining! I enjoyed your rundown on Chicago history and what led up to it being the city it is today. You gave great contex for the architecture of the cities. Well done! I enjoyed reading your blog and really like all the details that you focus on in Chicago. It really does have a lot to offer when it comes to architecture. 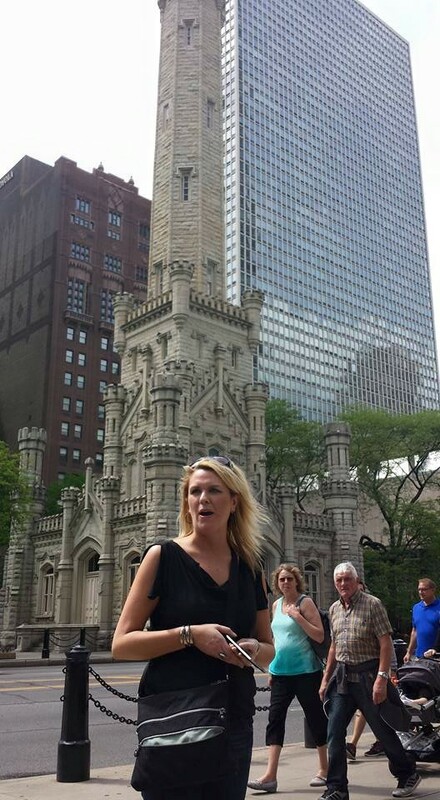 I really enjoyed the mini history lesson of Chicago. The detail you put into this blog was great and you really know what you are talking about. Good read. I liked your reasoning for why the building were built this way, of course a prospering city like Chicago and the UofM campus would want to give a feel of higher education and stature because both places demand a lot of historical respect. I really liked the comparison you used of UofM, Jordan made a great observation about the “higher education stature” I never would of thought of it that way. It does a great job of giving a history lesson and background information. Your attention to detail brought me right back to Chicago. Very interesting post. And I loved the law building you chose in Ann Arbor. You compared two buildings of Gothic architecture very well. I also thought it was clever that you chose two vital and important cities to compare. The blog kept me interested…especially when I could learn about the history of Chicago and Ann Arbor.